Headed by revered Obama campaign alumni, the organization began promising donors it would turn Texas purple by registering voters, tapping into the growing Hispanic population, appealing to women and driving up turnout. But two years in, the group has fallen completely flat. And with 2016 approaching, Democrats willing to invest in the group again deserve to lose their money. Not long after the group’s launch, it started touting its “progress” by pushing out stats on the number of doors knocked on, phone calls made and voters registered. It spent its initial months claiming Texas wasn’t as Republican as it seemed, generating favorable headlines by jazzing up the local media with untested theories. 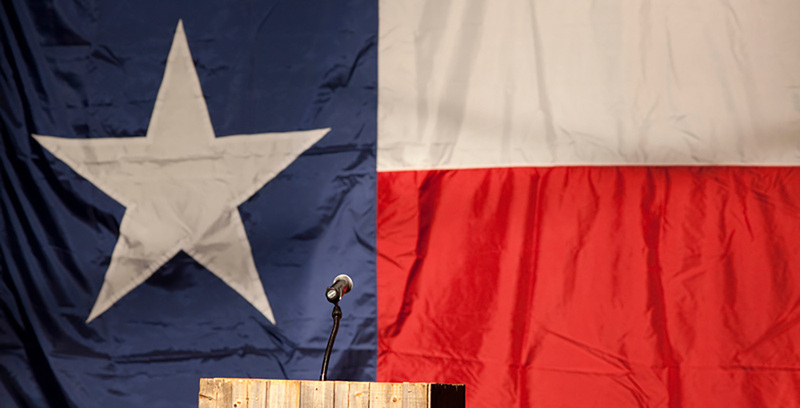 By late June of 2013, Battleground had caught its first “break”: state Sen. Wendy Davis’ speech on the Senate floor opposing abortion restrictions. Battleground now had a candidate to carry the torch, and it only took the group a little more than a month to start the “We Want Wendy” campaign. This should have been the first sign of concern for anyone hopping on the Battleground train. Their hand-picked candidate had made her name by opposing restrictions on abortions after five months, and Battleground seemed to think this wouldn’t be an issue in a deep red, socially conservative state. Battleground also had over a month to vet Davis — plenty of time to research her mountain of ethical problems and her tendency to employ scorched-earth political tactics, which would later come back to haunt her. But Battleground and Davis plunged full steam ahead, and as they began their joint operation, they quickly began to feed the narrative that they were well on their way to turning Texas blue. A year in, Battleground had “mobilized nearly 12,000 active volunteers working across the state” and “recruited more than 5,700 volunteers to be deputized by their counties to register voters,” the group boasted. The first test for Battleground came on March 4, 2014, in the Texas primary. Despite months of bragging about engagement, Davis actually performed worse in five heavily Hispanic South Texas counties than Bill White did in 2010. She ended up losing more than 20 counties to an unknown and unfunded candidate. Even more embarrassing was the fact that of newly registered voters, more than 70 percent chose to vote in the Republican primary rather than in the Democratic primary. But Battleground and the media weren’t about to throw in the towel. The group continued to cite stats like 2 million people contacted and 22,000 volunteers identified, with the Davis campaign its biggest investment. As the election neared, Battleground touted that voter registration in Texas’ five largest counties — the typically blue Harris, Dallas, Tarrant, Bexar and Travis — increased by 2 percent. But that figure didn’t even keep pace with population growth in those counties. The Greg Abbott campaign, meanwhile, was seeing large increases in voter registration in big Republican counties like Collin (14.3 percent), Fort Bend (17.5 percent) and Williamson (14.2 percent). Then, in late October, the data wizards at Battleground issued a memo boasting that early voter turnout in Texas was up 36 percent. The claim, however, was based on faulty data from 2010, and the group was forced to correct its numbers. So what did Battleground’s supporters ultimately get in return for their millions of dollars in donations? A shellacking. Republicans picked up a handful of new seats in the state Legislature (including Davis’ old Senate seat); Greg Abbott won 10 counties that went for White in 2010, including Bexar and Harris; Republicans flipped a congressional seat; and Abbott beat Davis by 20 points. When you dig deeper into the numbers, it gets worse for Battleground: Exit polls showed that Abbott received 44 percent of the Hispanic vote, compared with 38 percent for Rick Perry in 2010. Abbott also won 52 percent of the female vote, compared with Davis’ 47 percent. If these are the results Battleground Texas delivers, it can stay as long as it wants. Battleground’s founder did take a brief hiatus from Texas after the election — not to regroup but to “assist” in the Israeli effort to oust Prime Minister Benjamin Netanyahu. He didn’t need to travel 7,000 miles to rediscover that he is just as bad at winning elections in Israel as he is in Texas. The bottom line is this: Apps and big data can be useful tools in elections, but when you’re selling a flawed product, no amount of spin will convince voters otherwise. Back in Texas, Battleground is trying to revive its mission, and apparently the new game plan is the same as the old. As Texas Monthly reported in February, Battleground recently met with about 80 donors to highlight its “progress” in the last election by recycling the same old stats: nearly 100,000 newly registered voters, about 35,000 new volunteers, 1.4 million voter contacts. Sound familiar? Battleground can keep calling and knocking all it wants. Republicans will keep answering.